REAL ALE - REAL FOOD - REAL PUB!!! At The Maltings you will find great beer, great food and great times all in a traditional English Pub setting. We are conveniently located at the foot of Lendal Bridge in the centre of the Historic City of York. We are just a 3 minute walk from York Railway Station. CAMRA Pub of the Year 2015, we are proud of the reputation we have acquired for serving only the very best quality beers and fine foods. 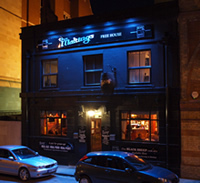 At any one time our customers can choose from seven Real Ales or four Traditional Ciders. The distinguished Black Sheep Bitter is our only resident beer with six ever changing "guest beers" which are served alongside. The beers are complemented by our exceptional value for money food from "The Dragons Pantry" served daily from 12noon till 2pm weekdays and from 12noon till 4pm weekends. 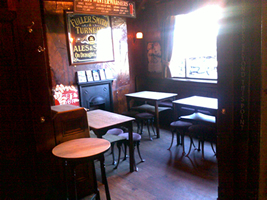 The pub, originally know as the Railway Tavern, and later The Lendal Bridge Inn, was established in 1842. 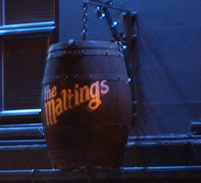 The current owner, Anita Adams, purchased the pub from Bass in 1992, and renamed it The Maltings. Anita's daughter, Maxine, and son-in-law, Shaun have run the pub since then and they continue to do so to the present day.